What a day. Many tears shed before his report. Even more after. For entirely different reasons. Here is Harrison on January 24 waiting on the pathologist’s report. The rest of us were ravaged by anxiety, but not Harrison. A hero of great faith and hope. And in the clinic so many other families rejoiced with us. We were so new to the community that we didn’t realize how much fellow travelers grieve and rejoice with each other. We’ve done both with other families. “Snowboarding” in the front yard last week. Amazing what difference a year in remission can make. Harrison was craving Olive Garden last January, and we celebrated the good news there a year ago. Our family will be there again tomorrow night, thanks to a kind gift from the Orange Bowl Committee in Miami. We will celebrate. We will rejoice. And then we’ll get back to the fight. You see, in the childhood cancer community euphoria is always short-lived. Even the highest of highs don’t last long. The enemy lurks around every turn. The fight never ends. Doctors never say of childhood leukemia patients that they are “cured.” Leukemia isn’t a tumor that can be removed. It isn’t localized. Every place blood flows in the body has been infected with cancerous cells. At one time, literally billions of leukemia cells flowed through Harrison’s body. Every single cell must be destroyed. There can be no survivors. One remaining leukemia cell anywhere in Harrison’s body would, the moment treatment ends, begin its murderous rampage once again. No taking prisoners. No negotiations. Everything dies. Or Harrison does. It’s that simple. So for more than two more years Harrison will endure chemo at home each day, chemo in the clinic each month, and spinal taps with chemo administration every three months. He’s less than a third done. But he’s living life. And he’s being a hero, unwittingly. He’s inspiring others. He’s refusing to give up. 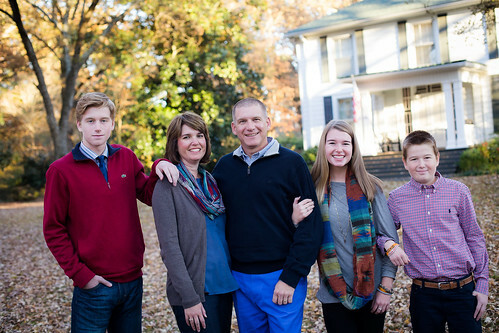 He’s fighting the good fight, not simply the fight again cancer, but the fight for the gospel. He’s praising our kind and merciful God (Psalm 146). And he’s making new friends both within the childhood cancer and outside it. Friends we’d never have met on another journey. He’s not wasting his suffering. And he’s teaching me not to waste mine. me when I see him at school. Enjoy your supper! Very well said. Congratulations on the one year milestone. Praying for continued remission, peace of mind, and God’s continued provisions. The picture of Harrison “snowboarding” made me smile. Harrison, keep up the wonderful attitude, fighting spirit and incredible faith! I happened onto your site today and just want to say that you are not alone and there is great promise of a wonderful life for Harrison. My Harrison is now a sophomore aerospace engineering student in college, nearly 16 years after having been diagnosed with ALL. Unfortunately, my original site with my stories and triumphs is not currently on the web but I have one story that takes me back and makes me feel extremely blessed that Harrison can read it anytime he wants, http://jefflambert.com/1004/family/harrison-is-diagnosed-with-leukemia/. My best to Harrison and his supportive family. Thanks a ton for the encouragement. While we know are adult survivors of childhood leukemia, it is easy for us to lose sight of that. Your comment came at just the right time. What wonderful news of your Harrison’s continued health.